The International Day of Peace is observed each year on 21 September. 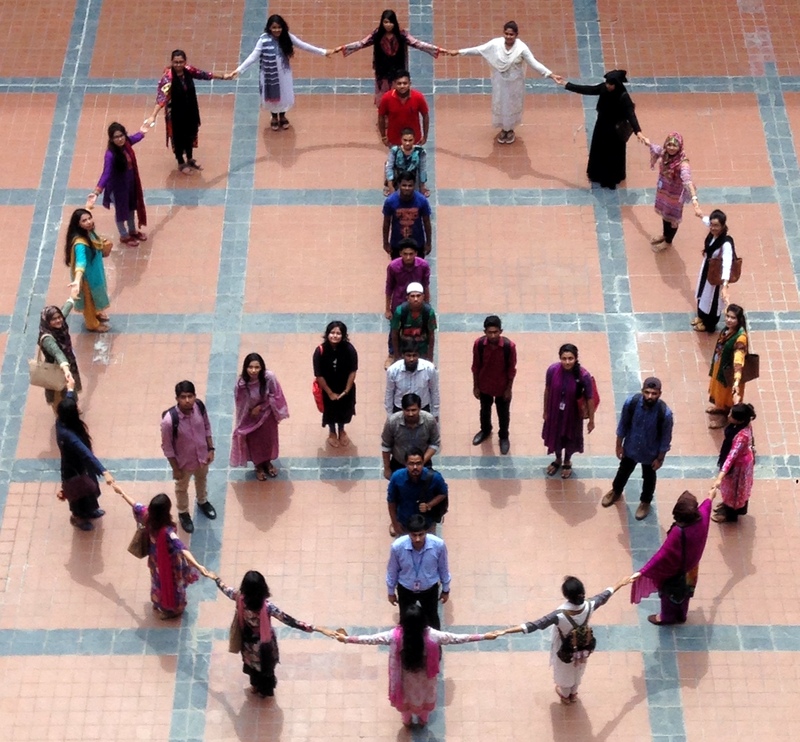 In order to celebrate the International Day of peace, the Department of Information Studies and Library management in association with East West University Library invites students to come together to form a human chain of peace sign on 23rd September 2018 at 12:00 pm in EWU ground. These allies are also conducting an hour-long session at Digital Section of the Library, from 3:00 pm to 4:00 pm on the same day to engage the students to understand the Universal Declaration of Human Rights and to get their opinions on Right to Peace. As Rousseau said,Man is born free and everywhere he is in chains. The idea of peace being a birth right was always in front of us, still we failed to constitutionalize this basic need. Information professionals as well as libraries can help to enlighten young minds and bring about a united stand against ignorance and eventually realize peace as a basic human right.